Paragon Financial Group offers invoice factoring and other financial services to eligible businesses. They can fund amounts up to $3,000,000, with a minimum monthly factoring amount of $30,000. 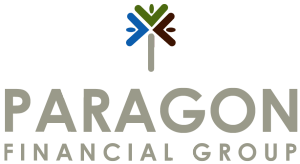 We compiled user reviews from around the web and determined that Paragon Financial Group generally has positive ratings. We also compared the most popular pricing options for small business owners. Users who recommend Paragon Financial Group were impressed with the responsive customer support team. Customers also said that the company has helped them solve cash flow problems. No negative reviews were found at the time this article was written. To qualify, you must have at least $30,000 in monthly invoices to factor. Each of your customers must be individually approved by Paragon, who will do a credit check on your customers through Dun & Bradstreet. You can be initially funded within 1 week, but each funding after that will be completed within 24 hours of you submitting an invoice, and typically occurs the same day you submit the invoice. While Paragon is a non-recourse factoring company, they require a personal guarantee. You won’t be responsible for the personal guarantee if your customer becomes insolvent or files bankruptcy. Paragon advances 90-95% of the invoice upfront. They also charge 1.25% per invoice for every 30 days the invoice is outstanding. Paragon doesn’t disclose all of their fees online. The fees vary based on your business and your factoring activity. All fees applicable will be provided in an official offer before you start using Paragon Financial Group. Paragon also offers spot factoring so you can pick and choose which individual invoices you factor as long as you meet their minimum $30,000 of factored invoices monthly. The company specializes in manufacturing, wholesaling, and distribution. You can use their invoice factoring calculator to get an idea of how non-recourse invoice financing & PO Funding works. Not sure if Paragon Financial Group is the right alternative financing or lending option for your small business? Check out our best invoice factoring buyer’s guide.